Advenica, the Swedish provider of cybersecurity solutions, has through its Singapore-based partner Athena Dynamics signed a general agreement with one of Asia's larger energy companies. The first delivery takes place immediately. Interest in Advenica's products and services for raising critical infrastructure’s – and thus society's – preparedness for cyberattacks is increasing not only in Sweden but also internationally. On the Asian market, where several new power plants are being built, Advenica has co-operated for years with IT partner Athena Dynamics. The agreement with the energy company includes Cross Domain Solutions, segmentation products that maintain the integrity of IT networks by ensuring secure communication. The first order placed is worth MSEK 0.6 with delivery in Q1 2018. Additional products will be delivered in Q2 and Q3 2018. The order value amounts to approximately MSEK 3.5. "This deal is another success for Advenica within our strong focus area critical infrastructure. At the energy company, Cross Domain Solutions will be deployed with other products to safeguard critical information and secure production", says Rune Bengtsson, VP Sales Advenica. This information is information that Advenica AB is obligated to make public pursuant to the EU Market Abuse Regulation. The information was submitted for publication, through the agency of the contact person set out above, at 08.50 a.m. CET on March 26, 2018. 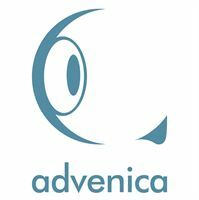 Advenica is a leading European provider of cybersecurity. Advenica offers advanced cybersecurity solutions and services for business-driven information exchange, secure digitalisation and high assurance. For more than 20 years Advenica has, by providing future-safe and sustainable solutions, enabled for organisations and companies to take digital responsibility. Advenica AB is a publicly traded company listed on Nasdaq First North Premier with the name ADVE. Certified Adviser is Erik Penser Bank. This deal is another success for Advenica within our strong focus area critical infrastructure. At the energy company, Cross Domain Solutions will be deployed with other products to safeguard critical information and secure production.